Grill Meets Pizza! True Love! There are really only a few things you always hear about cooking on the grill: cuts of meats, certain vegetables and even some fruit. But, I've never been invited over to someone's house for grilled pizza! 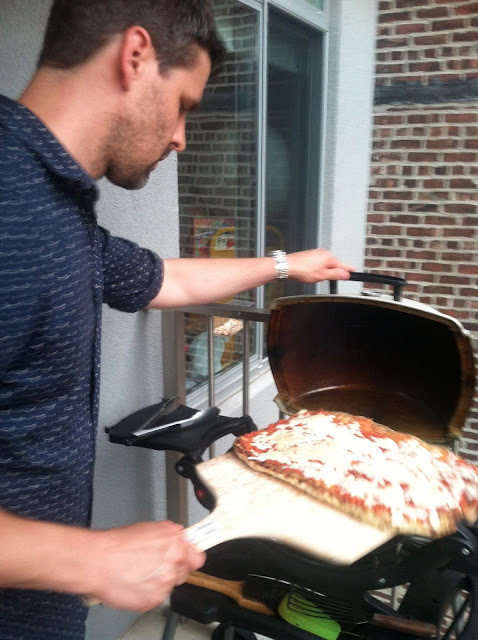 Rob and I grilled our first pizza tonight and I can't believe grilling pizza isn't as popular as grilling burgers. 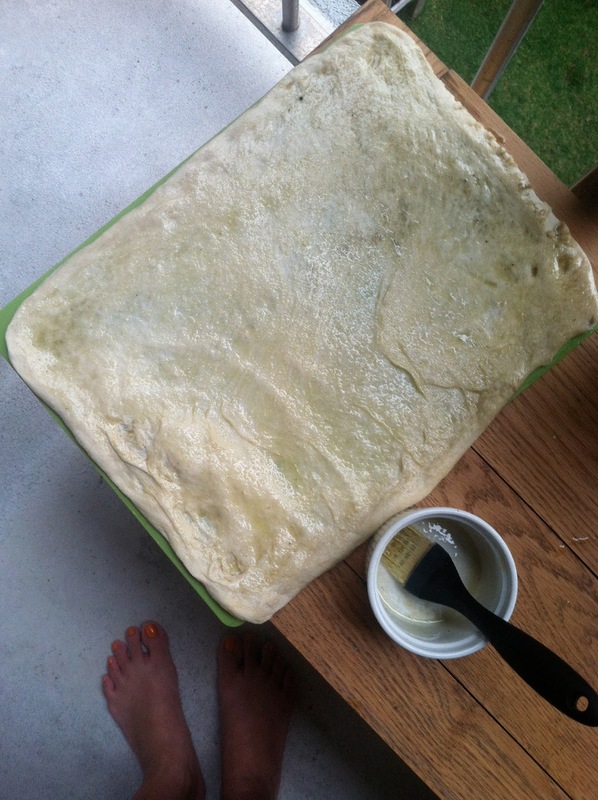 I've made pizza dough, which is very easy to do, but when I'm in the mood for pizza, I don't want to work for it. I live a block away from a pizza place and they sell their dough balls for $3.00, so I just pick up a ball there and it makes two round 13" pizzas. That's how I make my express pizza in the oven. Grilled pizza is even better because you don't have to heat up your whole house, the pizza cooks up in five minutes, and you get that grilled flavor. 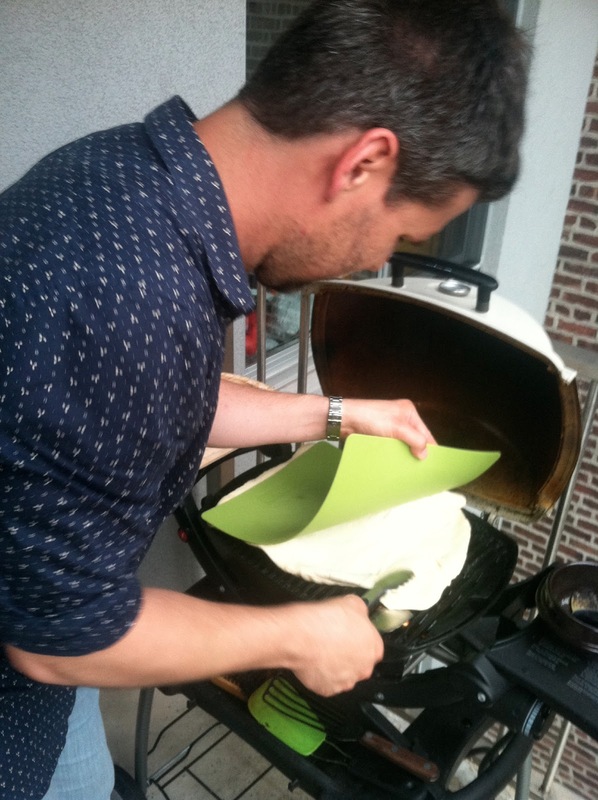 Here are the steps to grilled pizza deliciousness and our lessons learned. Dang, did this delicious food come off of my grill? I followed these instructions on how to grill pizza, but there are plenty of tips and methods out there. Here's how things played out for a first-timer. 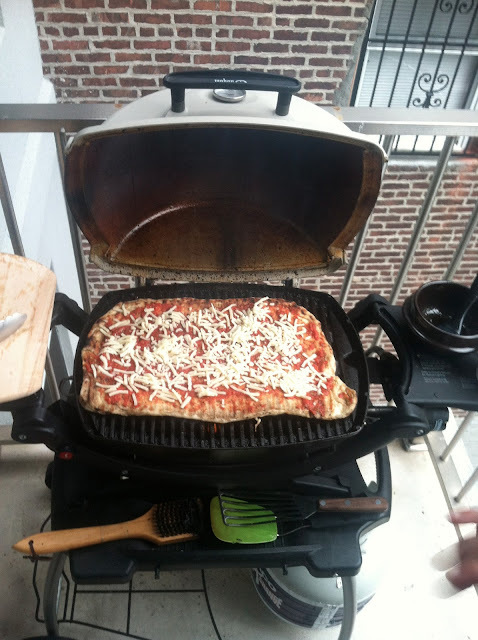 We'll definitely be grilling more pizzas this summer. It's a great way to use the grill and keep the heat out of the house. -Pre-heat the grill on high and get it really hot. 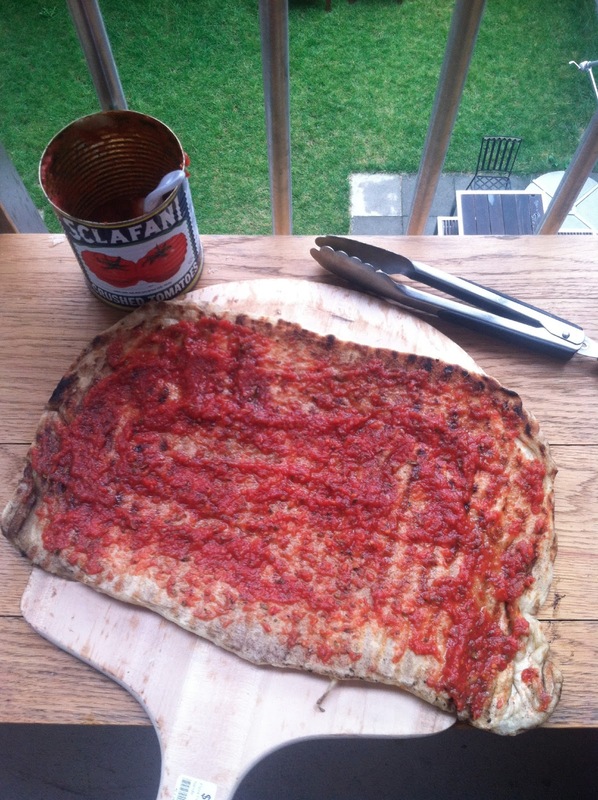 This is what's going to make your grilled pizza better than your oven pizza. -Stretch out your dough. 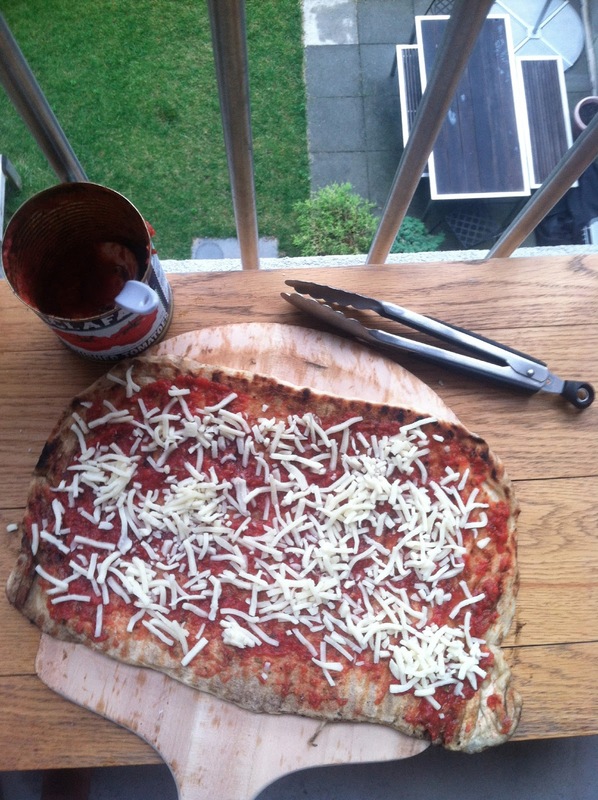 You could make mini pizzas or make the dough fit your grill, which is what we did. Have your toppings ready. You'll want to pre-cook any toppings like, say, mushrooms. Since the dough cooks so quickly on the grill, toppings won't have time to cook, just enough time to heat up. 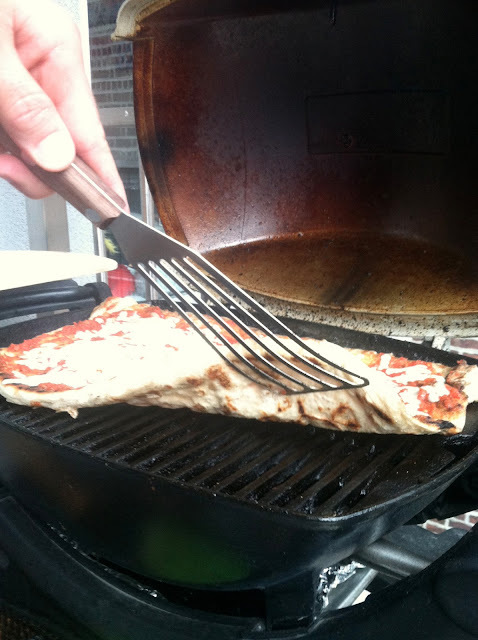 Brush the stretched out dough with olive oil and brush your grill with olive oil. 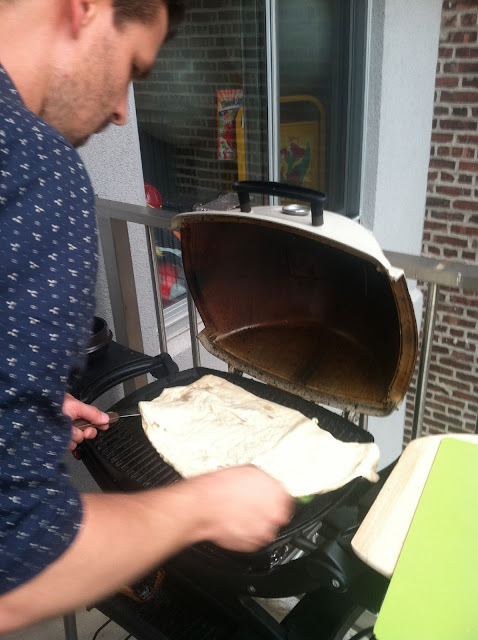 Since it was our first time, getting the dough onto the grill by throwing it on was messy. 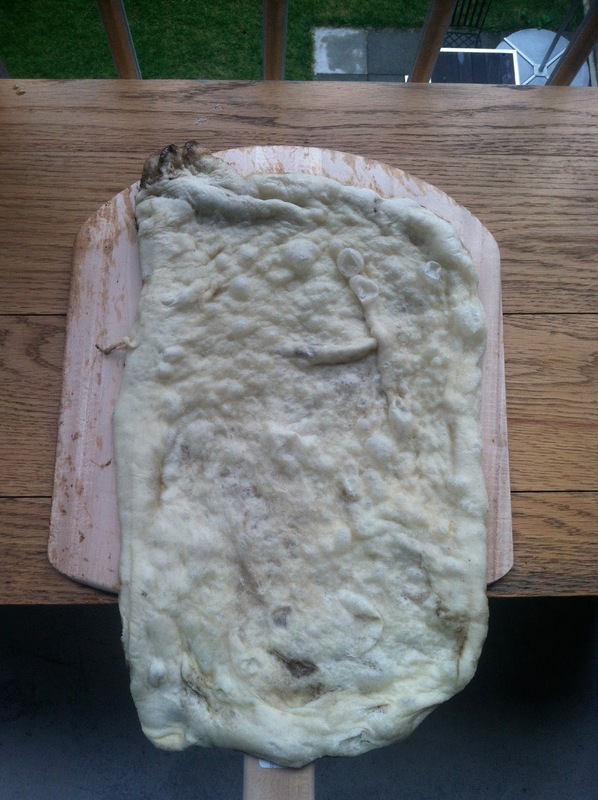 For the second pizza, we just slapped the dough onto the grill and peeled back the flexible cutting board. Not messy! 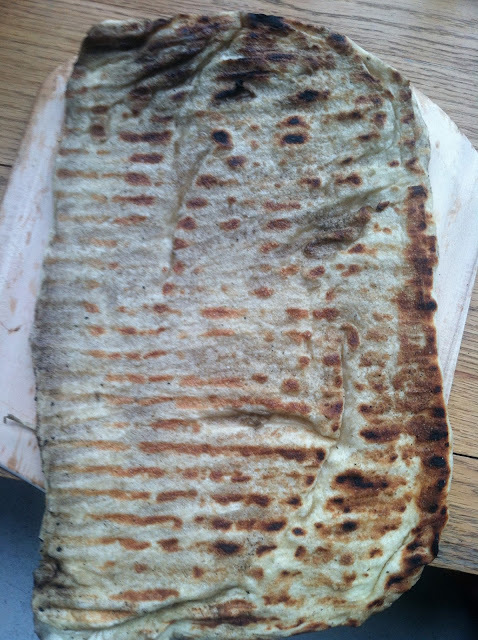 What the dough looked on top after two minutes on the hot, covered grill. Flip over the pizza and THEN add the toppings to this side. Back into the grill, covered for another two or three minutes! Check under the pizza to see how things are browning. Rotate pizza to avoid hot spots. Let's eat! Tonight was the first time we used our new peel. It was worth buying! Grilled pizza was my baby's birthday dinner! -Pre-heating the grill so everything is super hot is key. Our second pizza was way better than the first because the grill was hotter. -Have everything ready to go and near the grill (flats of dough, olive oil, brush, toppings, tongs, pizza peel if you have one, something to put the cooked pizza on when it's done, etc). The dough cooks up in a minute or two, during which time you will check it atleast once for hot spots. There's no time to run back and forth into the house for stuff. -Keep the toppings minimal because a thick layer of stuff on top of the pizza isn't going to have much time to warm up in the grill. -Make double what you think you'll eat because you'll want leftovers! 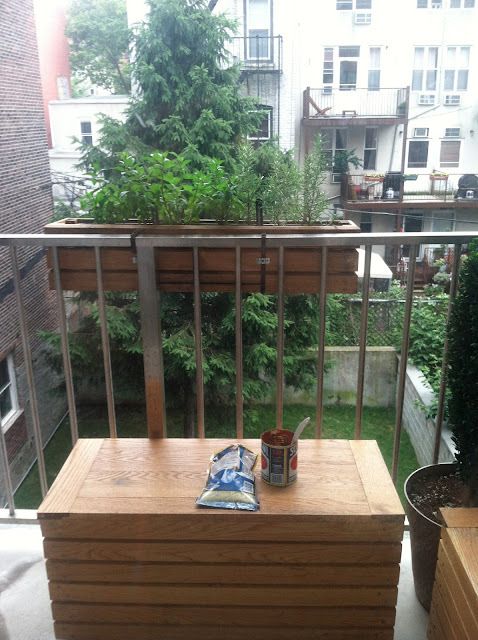 I've always wanted to do this but haven't taken the time to figure out how. Looks pretty easy and SO delicious! Awesome! I've known about grilled pizza, but I didn't know how easy it was! Yummy! 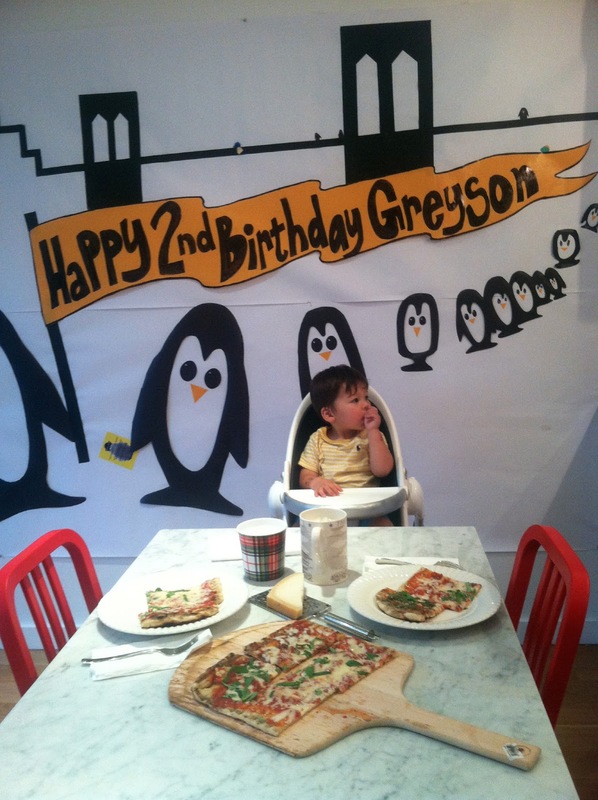 I love the backdrop and banner, write a blog and tell us how you make it !